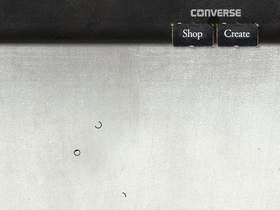 Converse, online at Converse.com, is a popular destination for shoes and apparel. Converse sells athletic shoes for men, women, and children. At Converse, you also have the option of designing your own shoes as well as choosing from specific collections including: Chuck Taylor All Star, Jack Purcell, and One Star. Converse carries t-shirts, tank tops, cardigans, and hoodies as well as socks, sunglasses, watches, and tote bags. You can also buy replacement shoe laces and backpacks. RetailSteal.com has the best Converse coupons, Converse discounts, Converse coupon codes, and Converse promo codes. Shipping and handling rates at Converse depend on the price of your purchase and your shipping destination. Free shipping is offered for orders $75 and over. See website for full details. Exclusions may apply. Save up to 60% on sale items at Converse.com. Click link for savings. Converse sells more than shoes! Check out the great selection of apparel, now up to 50% off. Shop the last chance section at Converse.com and enjoy up to 75% off popular styles. Act now and enjoy $5.95 flat rate shipping from Converse.com.